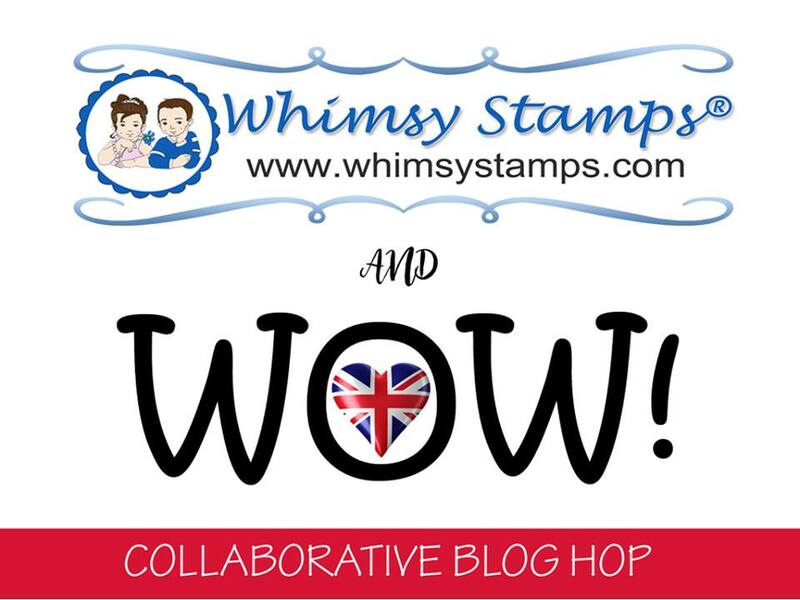 Hello Everyone and welcome to the Whimsy Stamps and WOW! Collaborative Blog Hop! 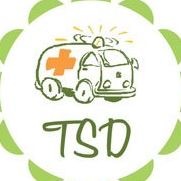 I am so honored to be working with two amazing companies and sharing with you the projects I have made. 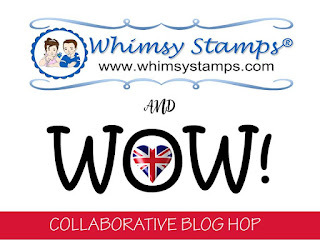 Whimsy Stamps has so many wonderful products that work hand in hand with the WOW! product line! 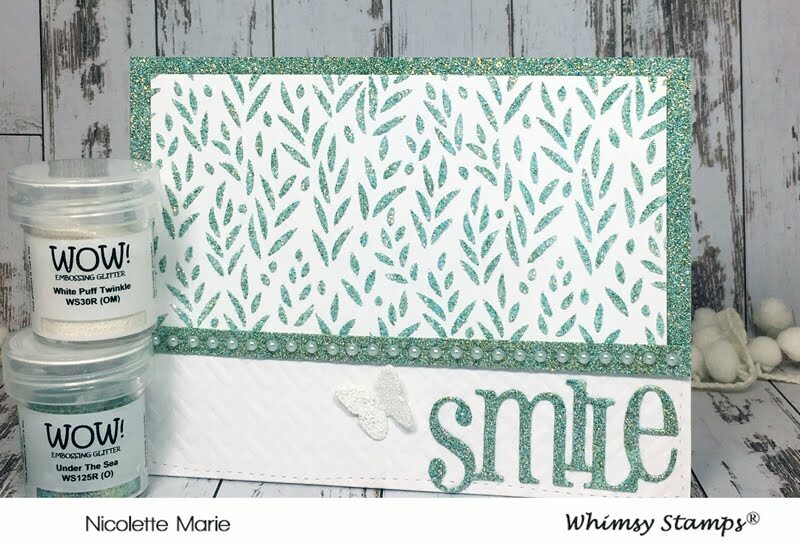 For my first project, I made an elegant card using Whimsy's Flower Puffs Background Stamp and WOW! 's Metalline First Frost Embossing Powder on top of black cardstock. This embossing powder is absolutely gorgeous and just jumps of the paper! I also embossed the trim piece at the top of the card, the scalloped trim and the layer behind the sentiment to bring all the elements of the card together. This is the perfect way to make sure all your elements match especially if you do not have the right color of cardstock. I embossed the sentiment and the bottom sentiment layer in WOW! 's White Puff Twinkle Embossing Glitter. This embossing glitter is super fun and not only gives just the right amount of sparkle but texture as well. To give the card a little bit more texture and add another design element, I embossed the bottom white layer of cardstock with Whimsy's Farmhouse Basket Stencil using my die-cutting/embossing machine. Adding a strip of rhinestones and some sequins, really brings this card to life! This card would be perfect for so many different occasions! For my second project, I used Whimsy's Farmhouse Greenery Stencil, white embossing paste and WOW! 's Under The Sea Embossing Glitter. I first spread the embossing paste through the stencil onto white cardstock and added the embossing glitter. Once the embossing paste was dry, I heat set the embossing glitter until it was melted. You can tell when it is done when it turns from dull to sparkly. I also used the same embossing glitter to make the glitter background paper, the trim and added it to the sentiment die cut using a Versamark Watermark Ink Pad instead of the embossing paste. I once again used Whimsy's Farmhouse Basket Stencil to dry emboss the bottom layer of the card for an added design element. The butterfly is embossed in WOW! 's White Puff Twinkle Embossing Glitter to bring in added sparkle and dimension. The pearl strip adds an elegance to the card. For my third project, I wanted to show you what WOW! 's Under The Sea Embossing Glitter looks like using the same Farmhouse Greenery Stencil but this time on top of black embossing paste. Because this embossing glitter has a translucent quality, you can see the color from underneath come through which allows you to get a variety of different looks from just one embossing glitter. How cool is that?! I once again made the background paper using the Under The Sea Embossing Glitter and used it on the bottom sentiment layer. The top scalloped trim, the middle sentiment layer and the butterflies were embossed with WOW! 's White Puff Twinkle Embossing Glitter. I added black back into the card by using black cardstock for the trim and sentiment. The black really warms the card up and ties all the design elements together. I really love how using the same stencil and embossing powders and just changing the color of the embossing paste makes two totally different looking cards. The Winners will be chosen at random in the week of the 22nd of April from the comments left on ALL THE POSTS. I really hope you have enjoyed my projects, now it's time for you to go to your next stop on the hop! 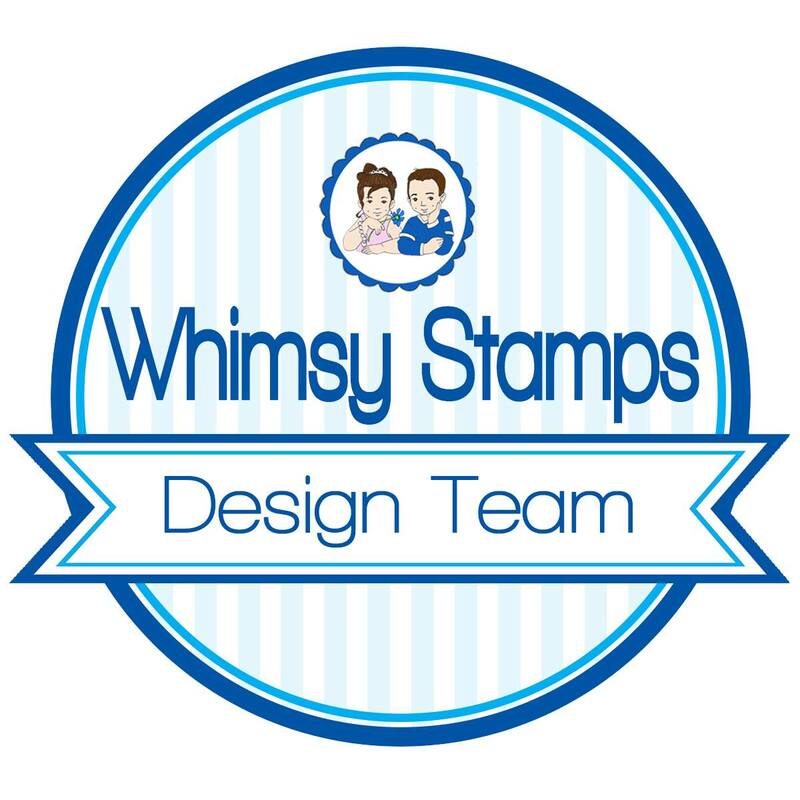 **I participate in Whimsy Stamp's affiliate program. 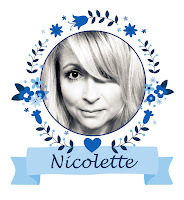 That means I receive a commission when products are purchased through links here on my blog. (At NO additional cost to you). 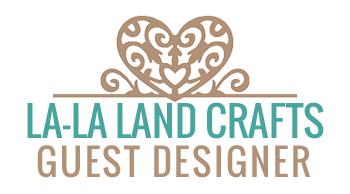 This allows me to be able to make more projects to share and hopefully inspire you! 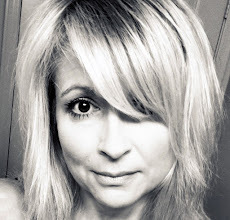 From the bottom of my heart, I appreciate your support!!! Love these cards! :) So much fun sparkle. Gorgeous cards! Love the designs you used and the colors of embossing powders! Love the Metalline First Frost powder on the dark cardstock! OMG WOW.. love them all but the Flower Puff Background stamp card is just Gorgeous.. just WOW!! such beautiful embossing powders and colors..
WOW! The patterns and textures you created with the stamps and embossing is amazing! I love the colors! Three awesome cards. I don’t think I could choose one. They are all great. I really love some of those embossing powders. 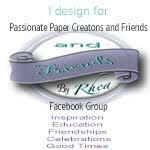 And I am a huge fan of Whimsy Stamps.....these company’s do such a great job. And apparently hire some pretty great illustrators/artists.....thank you so much for sharing today....have an awesome weekend. Oh these are WOW!!!! Two great companies partnering together... couldn’t be a better combo!! BEAUTIFUL! I love these embossing powders! I've already seen this ard (I think it was on IG or FB) and I love it! The second card is so pretty too, embossing powders looks o beautiful with background stamps! You really created the sparkle in these cards. Love that White Puff Twinkle Embossing Glitter and the sea green. Makes a very impressive card. Cute cards! I’m going to have to get the Wow Under the Sea Embossing powder!! Pretty cards! Love the colors. Simply lovely! These powders are perfect! Incredible job on all 3. Wow, can't say enough about how much I love these. Fabulous. Your cards are gorgeous. Love the glitter embossing powder- who doesn't need a little sparkle in their day. Wonderful cards. I really should try heat embossing on black, because I love how your first card turned out. Beautiful cards. They are all stunning but that first one just really stands out. The beautiful embossing powder against the black is just wow! Wow! I'm totally in love for your stunning cards! Colouring is simply amazing!!! Wow--so pretty with the embossing. All content (including text, photographs, and design work) is ©Nicolette Marie and ©StellaRueStudios. 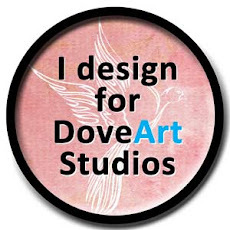 Original artwork is shared for personal inspiration only and may not be copied for contest submission or publication.